Combine with the award-winning Trends TA-10.2 SE Class-T amplifier and Trends SA-10R Speakers, making Trends TS-10 Hi-Fi System perfect for integrating your CD player, PC/Mac and Smartphone into your audio system and achieves the sound quality of high-end Hi-Fi but in a very affordable price. "...Best Choice for setting up 2 channeals audio systems"
If you are looking for bookshelf speakers and intergrated amp. - Unique T-amp with Tripath TA2024 IC. Select TS-10R Hi-Fi System!For more information, please contact an Authorized Trends Reseller or Trends Audio Sales if you are interested in ordering Trends Audio Products! Start US$299, you would enjoy the music with two set of power amp. and your preamp or Trends PA-10.1D Tube preamp. for setting up the Bi-amp audio system. The bi-amplifiers had richer sound and decay. They had richer tonality and more body. Combined, these capabilities seem to add details to the Inner Resolution. Soundscape categories however, on Big Ole Horn loudspeakers about 20 feet apart, seem no different. These improved capabilities lift the Trends pre-amplifier and the dual amplifier combination to a very competitive level with other far-more larger and costly receivers. In my own category, Enjoyment, the Trends' tiny bi-amplifier bundle is easily four Blue Notes for above-average. It earns five Blue Notes as being the best Value for the Money." Start US$299, Trends BA-10 Lite Bi-amp Audio System will be your excellent starting point for a tweaking audiophile system.Please Contact an Authorized Trends Reseller or Trends Audio Sales,alternatively you may Login to the Customer Area and order Trends BA-10 Lite Bi-amp Audio System today. Building on the success of the Trends TA-10 Series, Trends TA-10.2P Class-T Power Amplifiers delivers Trends Audio stellar performance in a high end system and has received critical acclaim world wide as an audiophile "best buy." . Applied the proprietary Trends TA-10 technology for audiophile quality sound. Work with any preamp. or Trends PA-10 Tube Preamp for better sound. Using specially designed audiophile-grade "Trends" MKP capacitors as audio input decoupling capacitor. Hearing is believing! 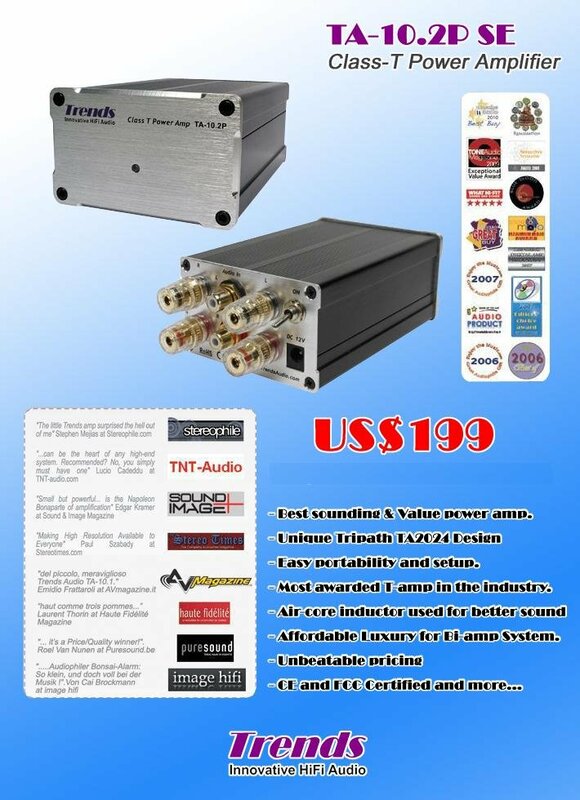 Please Contact an Authorized Trends Reseller or Trends Audio Sales,alternatively you may Login to the Customer Area or BUYOYO.com and order Trends TA-10.2P Class-T Power Amplifier today. 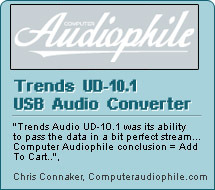 [2018/10/30]Enjoy 11.11 Sales for Trends Audio Products! - the Great Audiophile Gifts For 2018. Select Trends Audio Products ! From now to Nov 15, 2018, just type the following coupon code and you would receive the amount for ordering Trends Audio Products in 11.11 sales. TrendsTA10 US$56 Trends TA-10.2 SE Class-T amp. 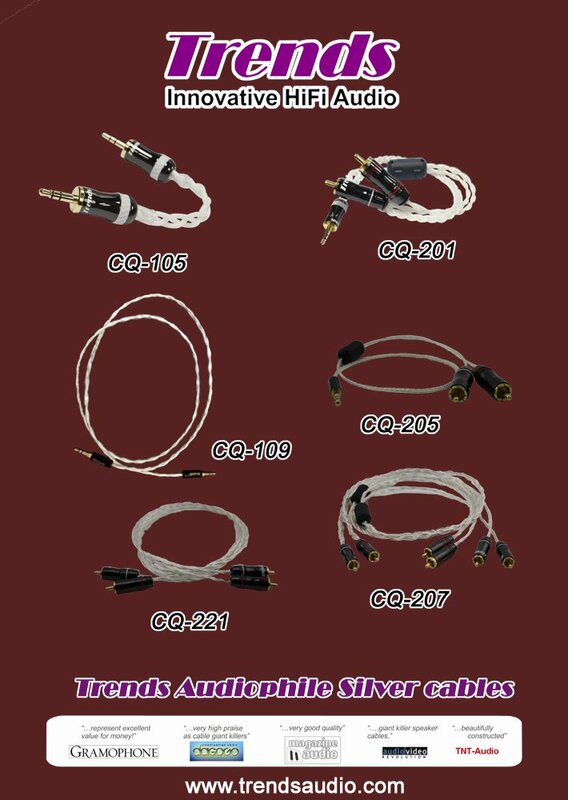 [2018/08/31]Trends Audio launches CQ-109 Mini to Mini Silver Cable for portable audio needs! [2018/07/26]Trends Combo 1 Lite Hi-Fi Systems released ! [2018/04/05]Partner with Trends Audio for selling the best T-amp in the market!